Built in a historic house dating back to 1820 and offering an outstanding position on the French Riviera, Hotel Alexandra is a charming hotel located 200 meters from beautiful sandy beaches of Antibes-Juan-les-Pins. 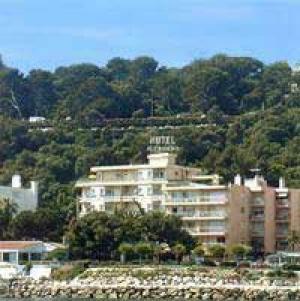 Within walking distance of the city center of Antibes-Juan-les-Pins, guests will easily reach main attractions of this popular seaside resort, such as the casino and trendy clubs. Situated only 15 km from Nice International Airport, this non-smoking accommodation is the ideal destination for sporty people wishing to enjoy water sports and golf, while families will appreciate the close vicinity of Marineland theme park. Hotel Alexandra welcomes guests within a friendly atmosphere, featuring a cosy restaurant and flowered garden in order to offer the best hospitality in Antibes-Juan-les-Pins.